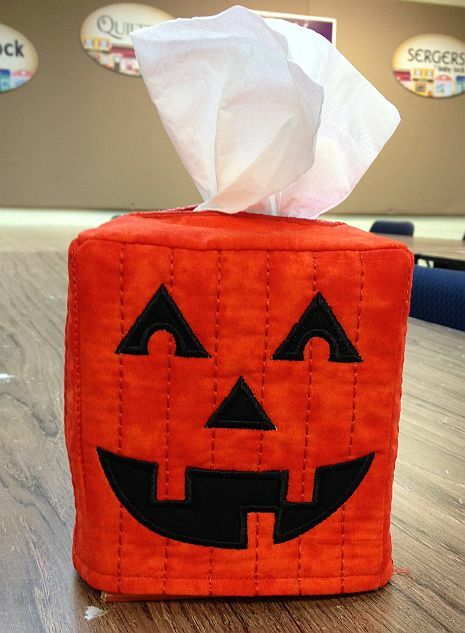 During our September Anita Goodesign Workshop, we had a great time making the CUTEST tissue box covers ever! Since it’s September, the project was all about getting ready for Halloween. 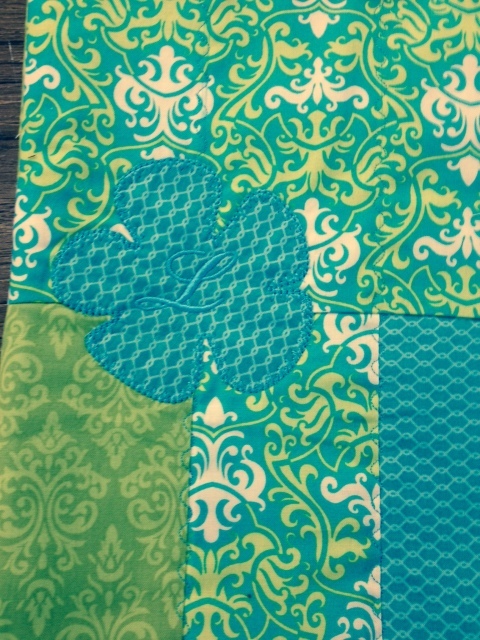 Look at a creative touch that Opal Hobbs added to her project…..
Isn’t that a cute ruffle?! 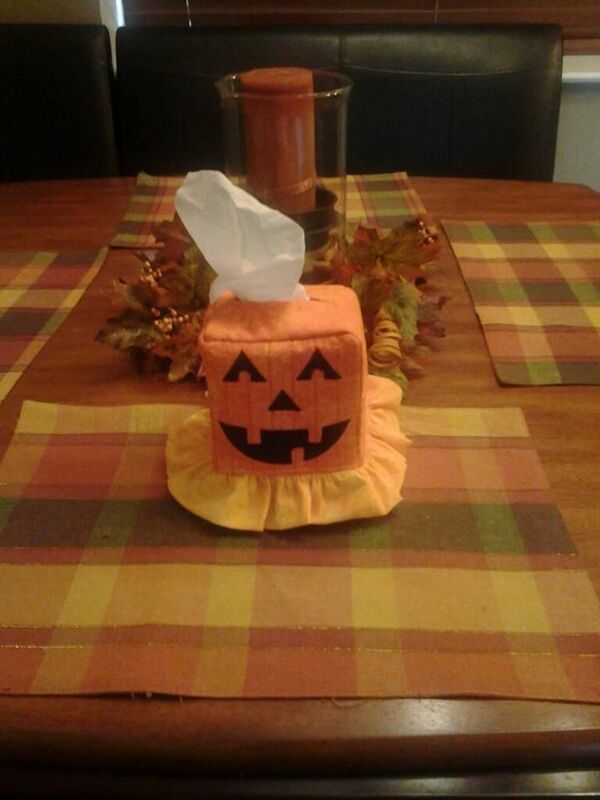 These tissue cover designs are EXCLUSIVE to the ladies who attend the Anita Workshop. They are not available anywhere else. So, if you are seeing things you like and wish you could get, maybe it’s time for you to join us at next month’s workshop. Hmmm? AND, sometimes we even have surprise Give-Aways…. 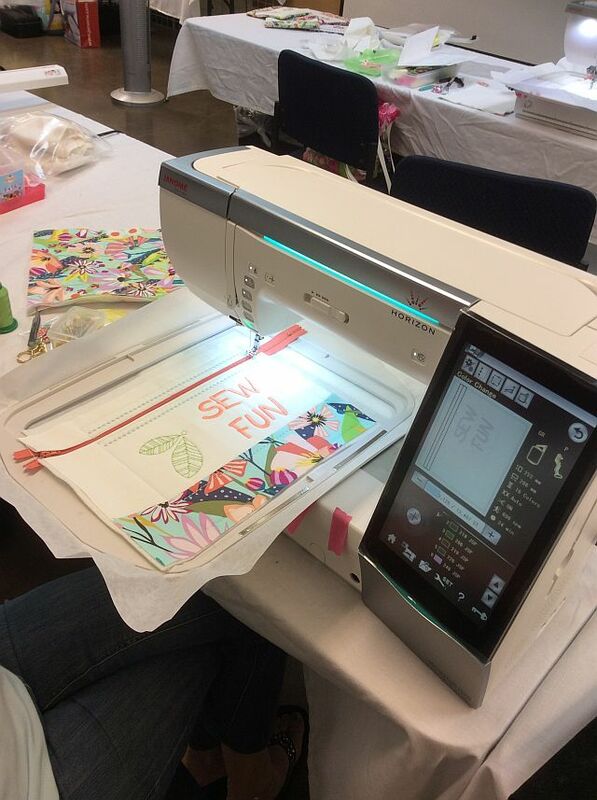 It’s time for you to join the fun and try some new things with your embroidery machine! This entry was posted in Classes, Embroidery Class and tagged Anita Goodesign workshop, embroidery club, Nancy Zieman, Quick Column Quilts on September 29, 2014 by Jenny Gabriel. 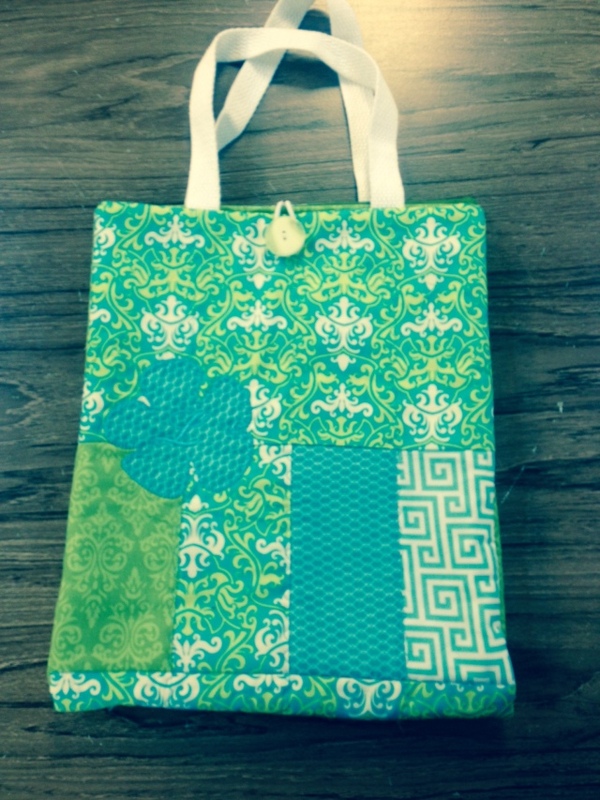 Take a look at all the fun we had during August’s Anita Goodesign Workshop at Humble Sewing Center. We made Fully Lined zip pouches completely in the embroidery machine – no sewing machine steps required! This group of ladies is such a pleasure to work with! Some are beginners and some are experts who come to enjoy the new friends and fun projects. Our workshops are always a lot of fun and we hope to see you soon! Here’s a link to the details about September’s Anita Goodesign Workshop. Also, we’ve got a special hands-on embroidery event coming up in October. It will feature some really neat techniques like embroidery on puffy foam etc. Check it out HERE. Thanks for visiting! Join us for a class sometime soon! This entry was posted in Classes, Embroidery Class and tagged anita goodesign, in-the-hoop project on September 19, 2014 by Jenny Gabriel. Come HOME!!! We MISS YOU!!!! 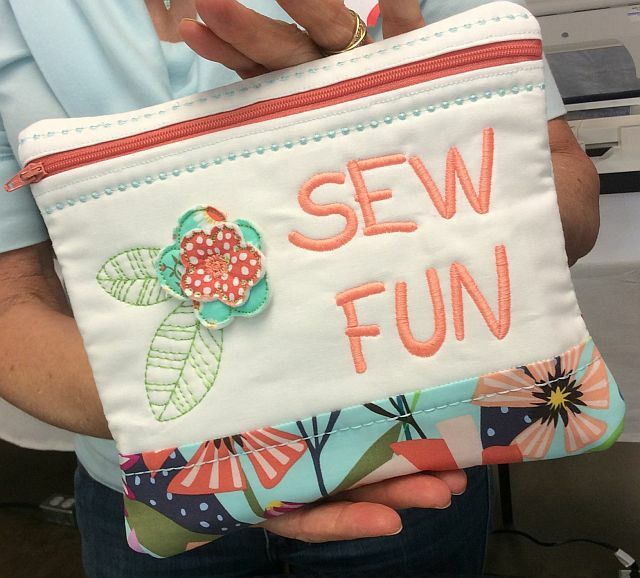 We’ve been having a good time hosting some fun summer classes at Humble Sewing Center. She was great and everyone commented on what a good time they had. Look her up and like her on Face Book! Erin personally digitized these in-the-hoop zip pouches and created the 3D applique flowers in the hoop as well. Isn’t she talented? We wish you were here!!! 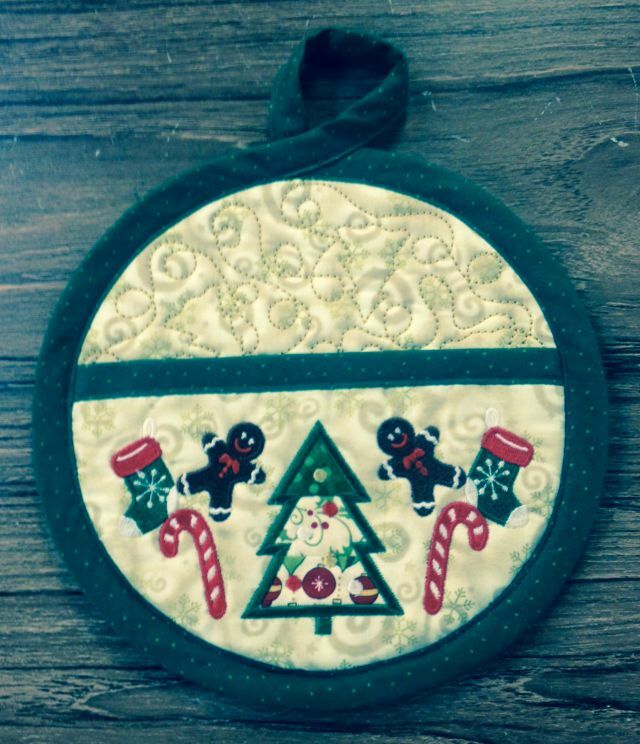 This entry was posted in Classes, Embroidery Class and tagged Erin Schlosser designs, in-the-hoop project, zip pouch on August 25, 2014 by Jenny Gabriel. 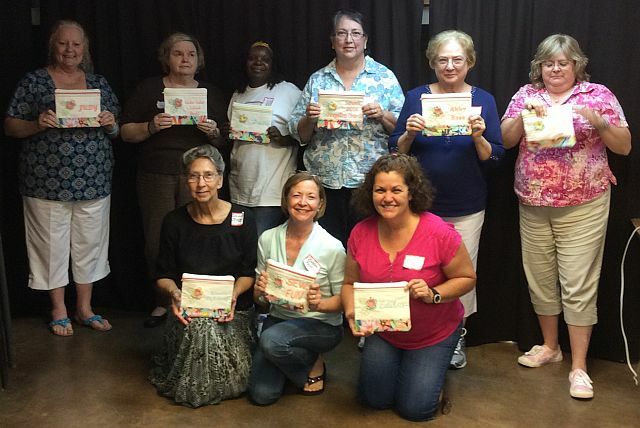 What’s Up at Monthly Embroidery Club/Anita Goodesign Workshop? I hope everybody is having a GREAT summer! I know that I am! If you haven’t made it yet to our monthly Embroidery Club/Anita Goodesign Workshop, here’s an invitation to come and join in on the FUN! One of our wonderful attendees allowed me to photograph her latest accomplishments from our latest meetings and let me tell you, we are proud of her work! 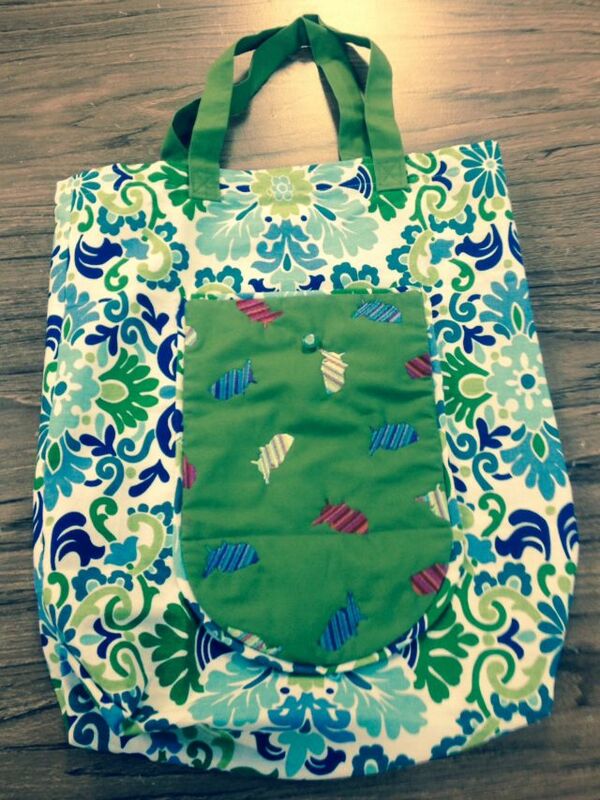 June – Roll It Up Tote! Leda added decorative trim to her pocket! 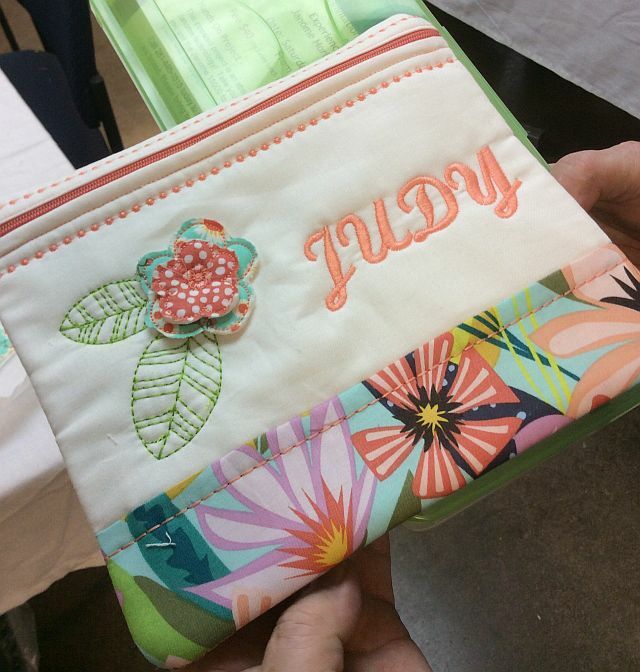 We recently had a customer appreciation event for our Ellisimo owners and this is what they made: Notice, Leda decided to personalize her project with her initial. What a lovely project!!!! 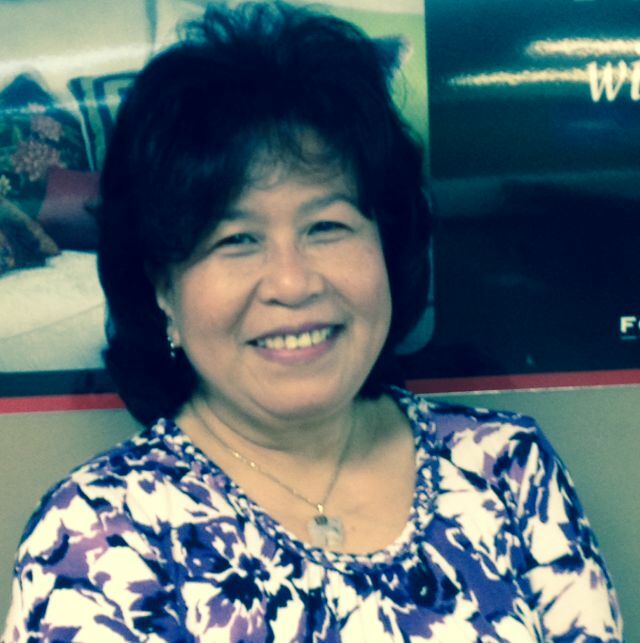 Thank you Leda for sharing your projects with us! Stay tuned for more news from our blog. 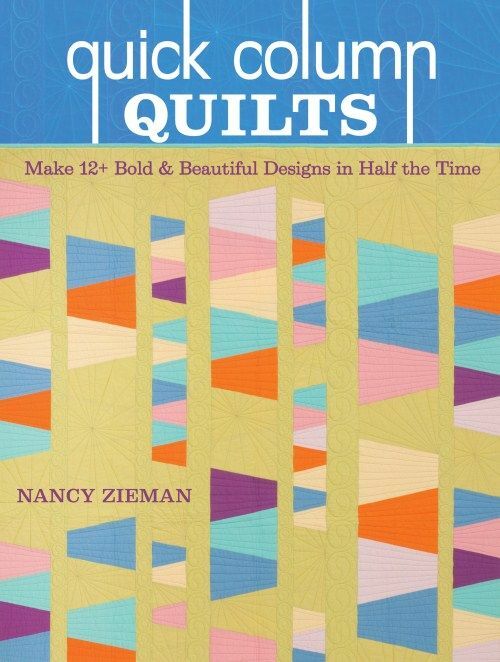 In September, I get to be a part of Nancy Zieman’s upcoming blog tour featuring her latest book. Be sure to take a look at what I get to make! I’m SEW excited for you to see! This entry was posted in Classes, Embroidery Class, Embroidery Club, Embroidery Club Projects, Projects and tagged anita goodesign, embroidery club on August 1, 2014 by Jenny Gabriel. Embroidery Club is on Tuesday, July 24 at 5:30pm. 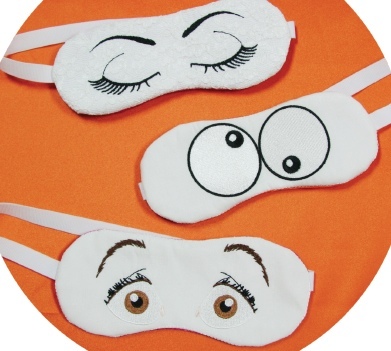 This month you will be making a Dreamy Eye Mask using the Anita Goodesign Project Cd, Dreamy Eye Mask. This project is perfect for the person who likes complete darkness when they sleep. It is great for sleeping while you travel, just don’t try to use it while you drive. That may be hazardous to your health and the health of others. This entry was posted in Embroidery Class, Embroidery Club on July 16, 2012 by Designs by Marje. 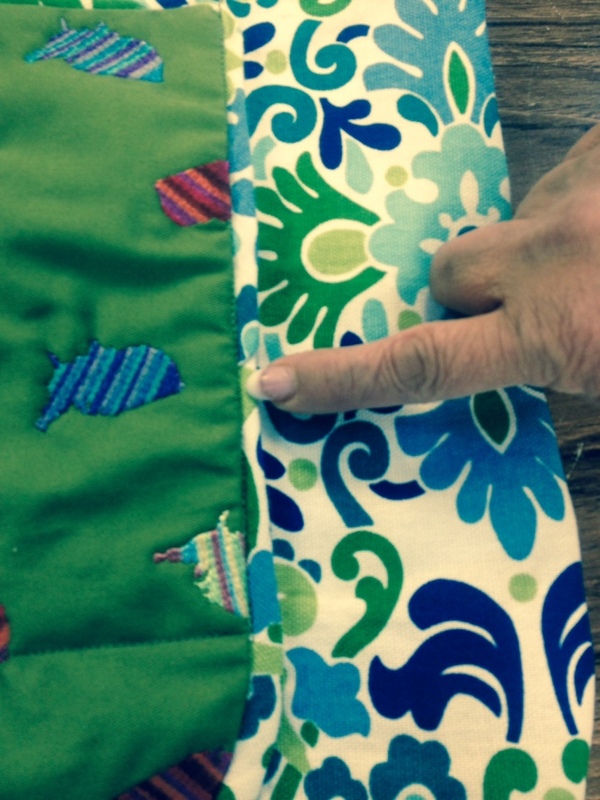 Embroidery club at Humble Sewing Center will be on Tuesday, June 19 at 5:30. 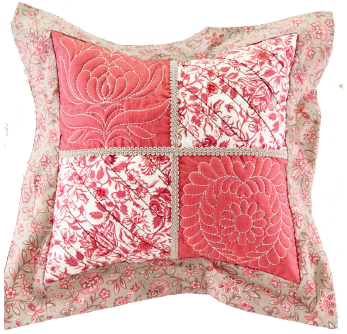 This month our project will be a Trapunto Pillow. 5×7, 6×10 or 8×12 hoop. This traditional technique adds a dimensional “puffy” quality to your quilt blocks. Using your embroidery machine and treating your batting as an applique, you can achieve the Trapunto effect in less than half the time. This Pillow uses 4 of the blocks from this design pack. There are 12 design blocks and 1 transition block in this pack. 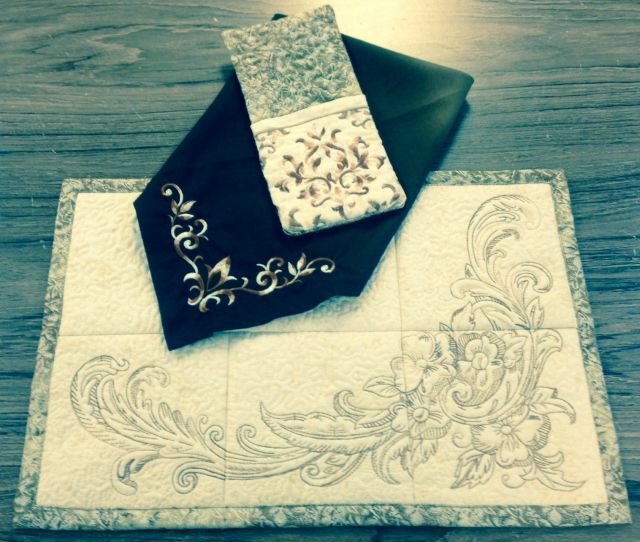 These blocks are compatible with our Mix and Match Quilting Collection. These samples use Rouenneries Deuz by French General for Moda Fabrics. We will probably not be have enough time to finish the pillow at Embroidery Club, but we will embroider as many blocks as time permits. And, we will discuss how to assemble your pillow so that you can do it at home. I look forward to spending a fun evening with you doing embroidery. This entry was posted in Embroidery Class, Embroidery Club on June 11, 2012 by Designs by Marje. I look forward to seeing many of you on Tuesday, May 22, 2012 at 5:30. 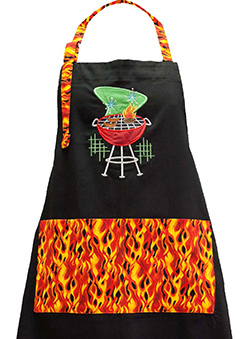 This entry was posted in Embroidery Class, Embroidery Club and tagged Anita Goodesign Retro BBQ Project CD on May 15, 2012 by Designs by Marje.